After graduating the Texas House program, many men find it hard to rent a house or apartment because of a poor credit history or a criminal record. Finding a clean, safe and affordable place to live can be a real challenge. The temptation might be to go back to an unhealthy environment they have worked hard for a year or more to escape. 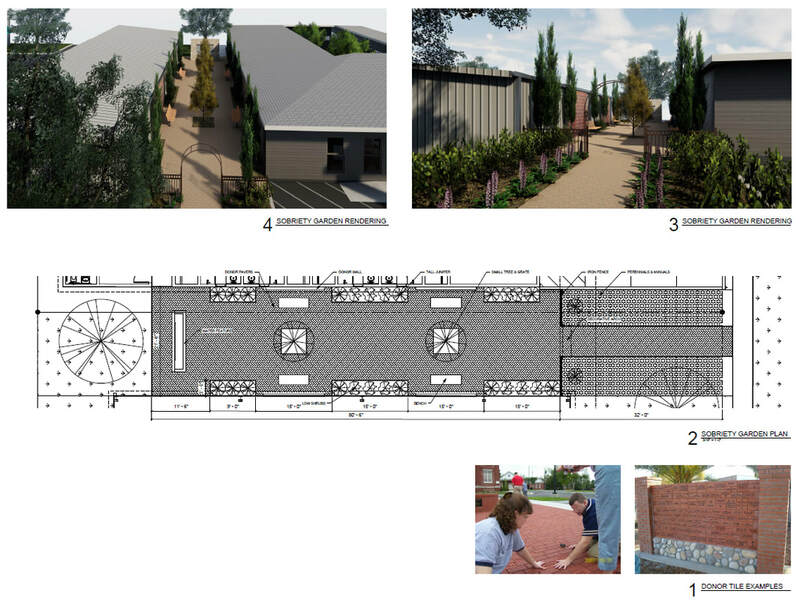 Plans are being developed for a transitional living facility on campus with private hotel-type rooms and comfortable common areas, kitchen and dining room. The rooms will be available with a sliding-scale rent cost for up to 18 months. The residents will establish a good rent history that will smooth the path into right-living in the outside world. The transitional facility will enable a quality after-care environment for men graduating the Texas House program, furthering their goals of lasting sobriety. From the point of view of Texas House these men will be closely cared-for during two and a half years of sobriety. So many times the staff loses contact with graduates who are still at-risk as they work to re-establish a clean living situation outside Texas House. Another Texas House need is a building and yard for equipment maintenance and work crew make-ready. For all the history of operations on the existing campus, a cramped area at the back of the parking lot has been used. The crews must fight heavy traffic on the Texas House front street as they back trailers into the parking lot. A plan for an operations yard has a dedicated driveway from a quiet back street. Equipment maintenance cost will be much improved with our own all-weather work shop and covered vehicle parking. A park-like Sobriety Garden is designed to honor sobriety dates of friends of the Texas House. Engraved bricks and tiles may be purchased as a way to help with project funding and recognize recovery milestones. The engraving will feature first name, last initial and sobriety date. Please consider a tax-free brick purchase or cash gift to help us complete this important addition. Contact Mr. Jeff Davis 832 981 9111 for more information.